Could the future of money be city currencies? It’s just possible that this week marks a tipping point in the events that have engulfed the UK banking industry since the economic crisis that began in 2008. Around that time, I questioned whether there was a need to think differently about how we measure the exchange of value, and cited a special edition of the New Scientist magazine as supporting evidence. My last couple of blog posts have raised similar questions supported first by a publication from the UK Royal Society, then by a speech by Christine Lagarde, Managing Director of the International Monetary Fund. This week the sources calling for change became much harder to ignore, because – in the context of UK banking – they came much closer to home. An editorial of the London Financial Times stated that the evidence of a culture of corruption in banking was now so clear that there was no alternative but to properly separate investment banks who take speculative risks to generate profit from retail banks who look after our personal financial livelihoods and nurture the growth of small businesses (read the article here, it requires free registration). Simon Walker, the Head of the UK’s Institute of Directors, made a blunt call for a clear-out of senior figures in the industry, as reported by the Guardian newspaper; and Mervyn King, Governor of the Bank of England, was similarly uncompromising, eventually leading to the resignation of Barclays’ CEO, Bob Diamond. These people and organisations are at the heart of the UK’s business and financial community; Barclay’s CEO could not ignore them. Their combined weight might just mark an overall tipping point and lead to serious reform of the industry. But why should I be concerned with this in a blog that focuses on the exploitation of emerging technology in city ecosystems? To answer that, I need to look back to the 1780’s and the birth of the Industrial Revolution. At the time, the UK’s Royal Mint was using hand-powered presses to make coins; and they were struggling badly to keep pace with the demand for coinage caused by a growing economy. The country was experiencing a “coin famine”. Enter Matthew Boulton and James Watt. 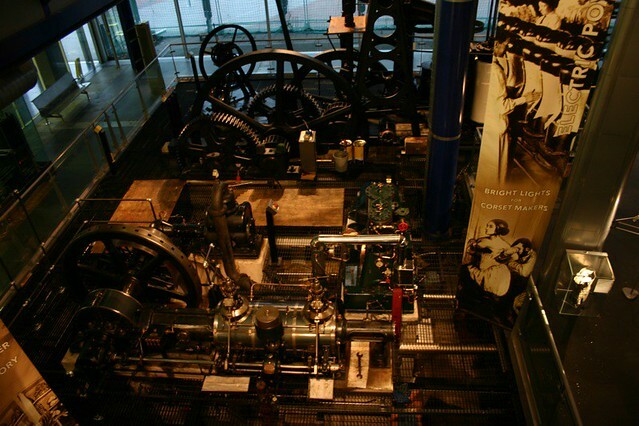 James Watt invented the world’s most efficient steam engine; and Boulton commercialised it to power the Industrial Revolution. In particular, Boulton realised that by combining steam power with intricate machinery, it was possible to mass-manufacture sophisticated, designed objects such as enamelled badges, engraved brooches and complex metal fastenings. This innovation marked the fist appearance of mid-market “designed goods” in the space between functional commodities and one-off pieces of art. Some of the original machines that produced these goods can still be seen in Birmingham’s Science Museum and they make Heath Robinson’s imaginary contraptions look like penny toys. Boulton realised that using such machines, he could literally print money, and produce coins faster and at much lower cost than the Royal Mint. He never formally won the right to do that from the national Government, but he did print coinage and “trade tokens” for employers in cities all over the country who quite simply needed something to pay their workers with. 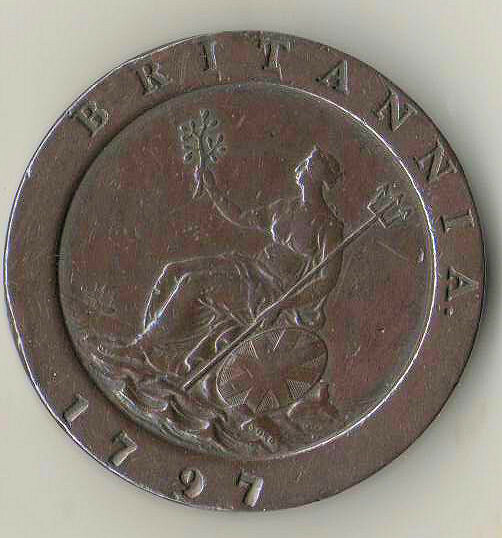 In many of those cities, Boulton’s coins replaced the national currency for a considerable time until the Royal Mint transformed its operations and provided sufficient national coinage again. Some of this history can be found on wikipedia, but for the full story Jenny Uglow’s wonderful book “The Lunar Men” can’t be beaten. If the steam engine was the disruptive technology of the Industrial Revolution, I’m increasingly convinced that the digital marketplace platform is the equivalent for city systems today. Marketplaces need currencies, of course; and sure enough, new currencies are starting to emerge. 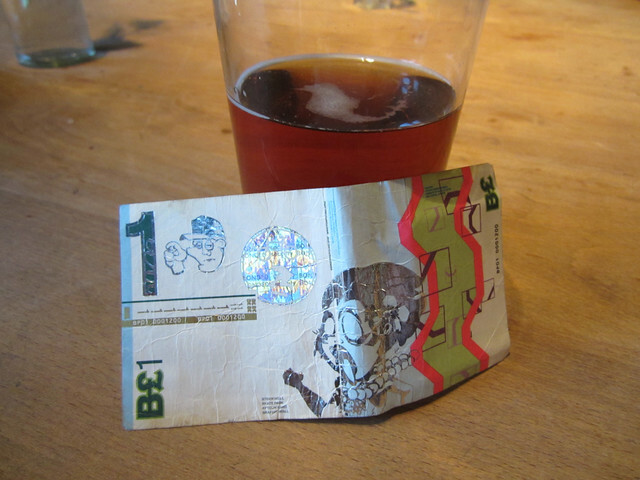 The Brixton Pound was set up by a social enterprise in 2009; and the scheme was adopted in Bristol this year. Startups such as Workstars are developing innovative new models for hyperlocal reward schemes involving employers and retailers that are an uncanny modern echo of Boulton’s 18th century trade tokens. And entrepreneurs in Birmingham have launched the local smartphone payment app “Droplet”. The interesting thing about these schemes is that they have a more localised sense of value than the global monetary system; and they can reinforce the local economic synergies that are the key to sustainable growth in cities and regions. In this context, it’s interesting to note the remarks of Romeo Pascual, Los Angeles Deputy Mayor of the Environment, at the Base Cities London conference recently. Deputy Mayor Pascual had just returned from the Rio+C40 Cities meeting. In contrast to what many believe to be the relatively weak agreement signed by national leaders at the Rio+20 meeting, he said that he and his colleagues had been united in their resolve to take strong action to lead cities towards sustainable growth. Technology can now offer cities very interesting possibilities for creating local systems of exchange, whether we call them local currencies, reward schemes or virtual money. There’s no reason why they should behave in the same way as the currencies we know well today; and every reason to be optimistic that new types of organisation such as social enterprises will find ways to use them to create social and environmental, as well as financial, value. Of course these innovations are on a relatively small scale for now. But they are emerging at the same time that city leaders are determined to make changes; and at a time that – in the UK at least – traditional systems of banking are under serious scrutiny. The future of money could hold some very interesting – and important – surprises for us. 19 Responses to Could the future of money be city currencies? Thankyou for your (very kind!) comments! I’m sure you’re right about his; the role of local “currencies” (or whatever sort of “bartering schemes”, as I think you’ve rightly christened them, emerge from the current flurry of innovation) will have to complement and work with existing financial systems. What’s going to be really interesting to watch as they scale-up in cities and represent a larger and larger share of the payments market, is to what extent they are then able to influence the wider traditional systems to which they will need to integrate. I spent some time on Thursday morning with a Birmingham start-up in this area; they told me that in order to get their local trading system working, they had (perhaps obviously) had to negotiate partnerships with banks and other traditional financial service providers. Interestingly, they told me that they had had to approach out-of-country partners to get their model up and running; local partners seem to have been too threatened by the competition presented by this new approach.